It's no secret that DS editors are a little (okay, a lot) obsessed with any sort of behind-the-scenes action, especially when they feature our favorite ballerinas. And if you feel the same way, then you're in for a treat—New York City Ballet soloist Megan LeCrone was just profiled on Y'all Collective, a blog dedicated to sharing the stories of creatives from the South whose careers, in one way or another, brought them to NYC. 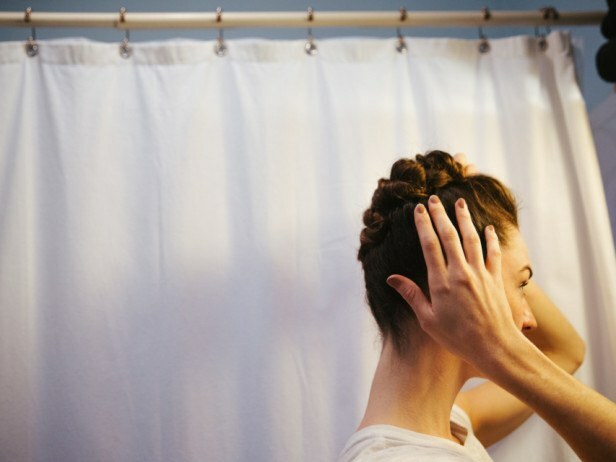 New York-based photographer Michael George was lucky enough to spend the day with LeCrone, capturing everything from her morning routine, to her pre-class warmups, to her makeup process before the evening's performance. There's always something special about witnessing a dancer's particular rituals, and this series is no exception. LeCrone's carefully tailored schedule came from years of learning how to adapt to the demands of dancing professionally in a company. As dancers, we can all learn a little bit from these moments. That, and the pictures are stunning to look at! Check out the entire feature here.